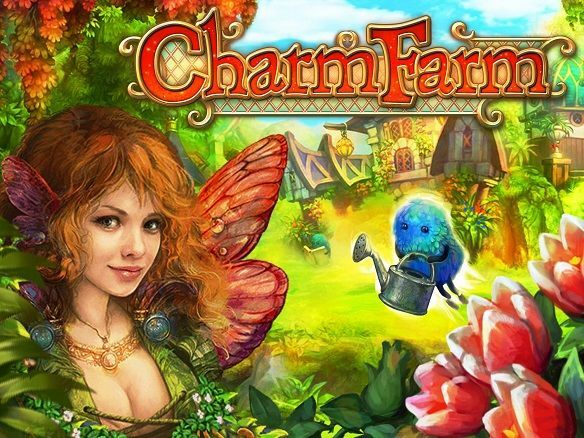 Charm Farm; Welcome to Magic Forest, Enchanter! We need your help to restore its magical powers and the beauty of the old days. We have been waiting a long time for you! Now it's your chance to turn this tiny village into an incredibly beautiful Land of Magic! You won't be alone with this task, though – it's time for you to get to know the cute Shmoos! They are ready to help you with any task, and you can also try your spells on them so they complete their tasks quicker! • High-quality animations, cutscenes and graphics, plenty of characters, artifacts and resources. • A stunning magical environment, with hand-made drawing scenes like in the most charming fairy-tales. • Exciting quests and missions to restore the magic of the Forest.